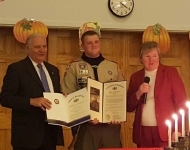 December 5, 2015 - Senator Mensch was honored to recognize Kevin Rossi during his Eagle Scout Court of Honor ceremony. 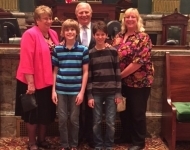 Senator Mensch hosted Lori Carnes and her husband Lonnie Carnes as guests of the Senate. 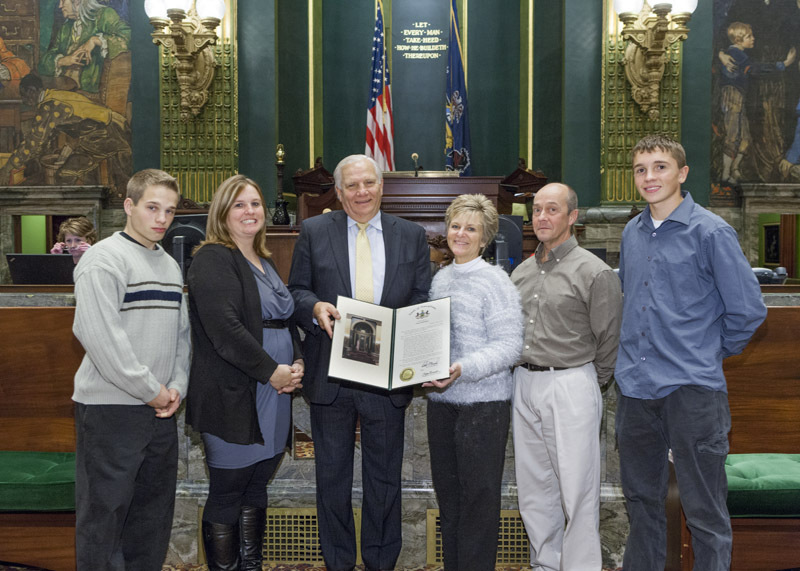 The Carnes were joined by their daughter Kellie Miller and their grandsons Kollin Miller and Trenton Abare. 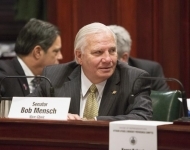 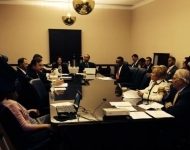 October 26, 2015 - Senator Mensch at the joint hearing with the Senate/House Veterans Affairs and Emergency Preparedness Committee to discuss real estate tax exemption for disabled veterans. 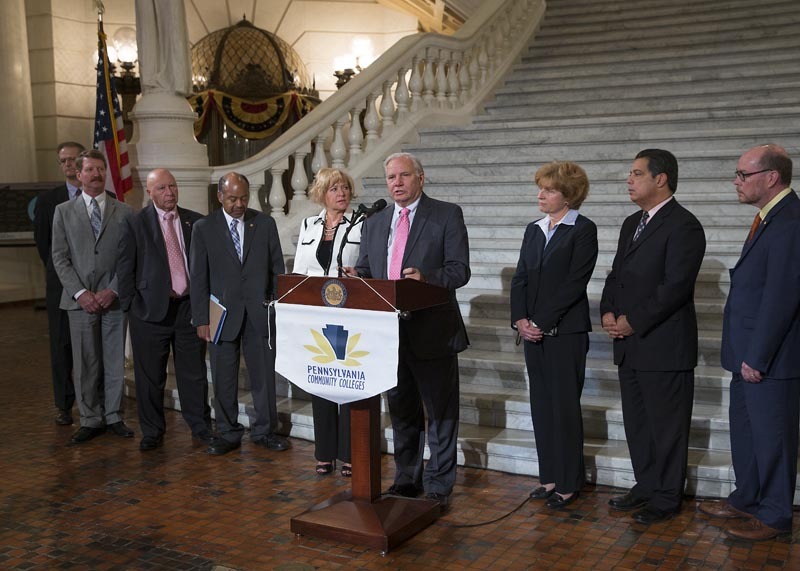 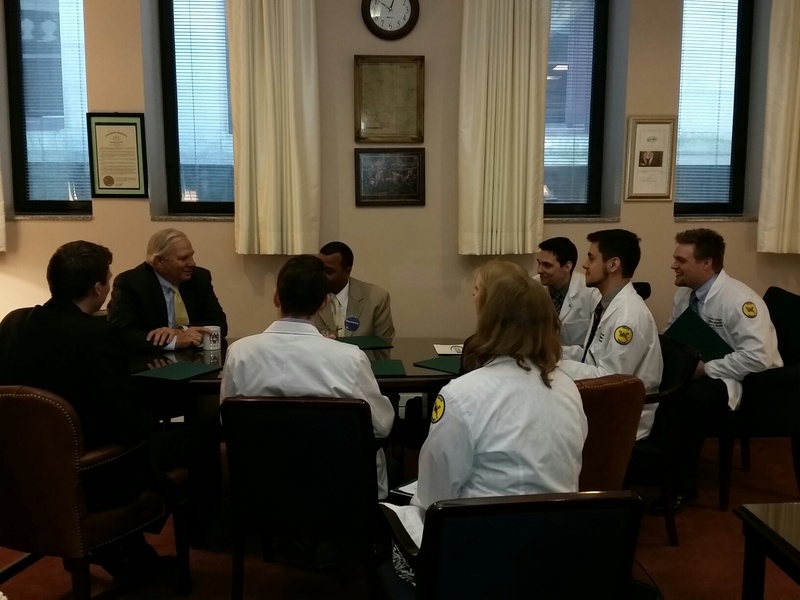 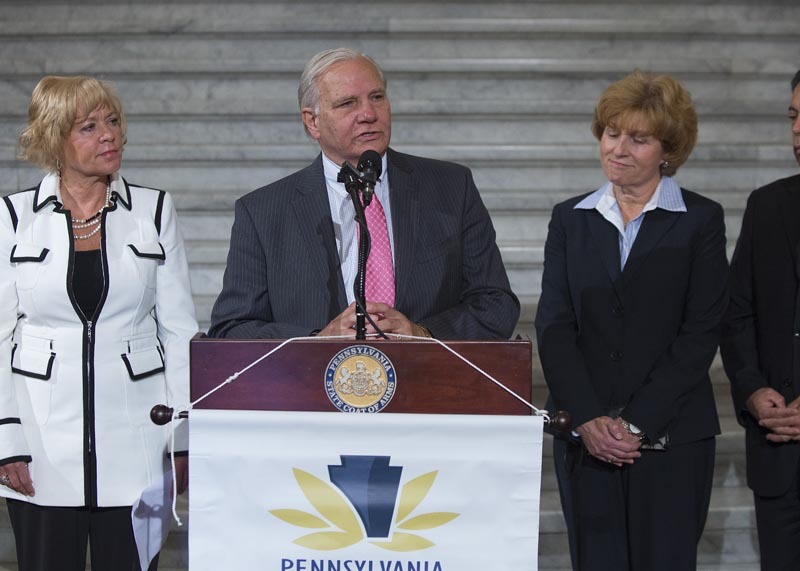 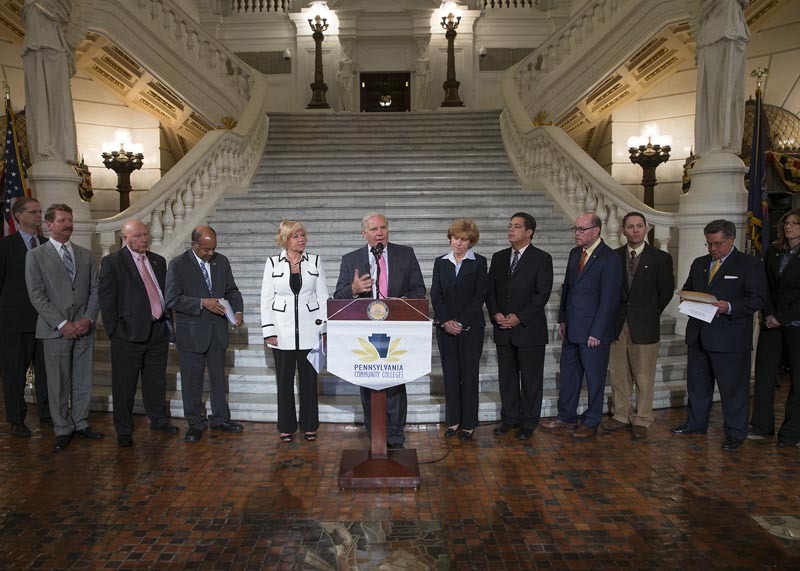 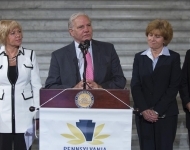 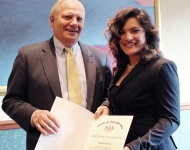 October 19, 2015 - Senator Mensch joined the Pennsylvania Commission for Community Colleges and Phi Theta Kappa Honor Society in a press conference today recognizing Pennsylvania’s first annual PA Community College Completion Challenge (PAC4). 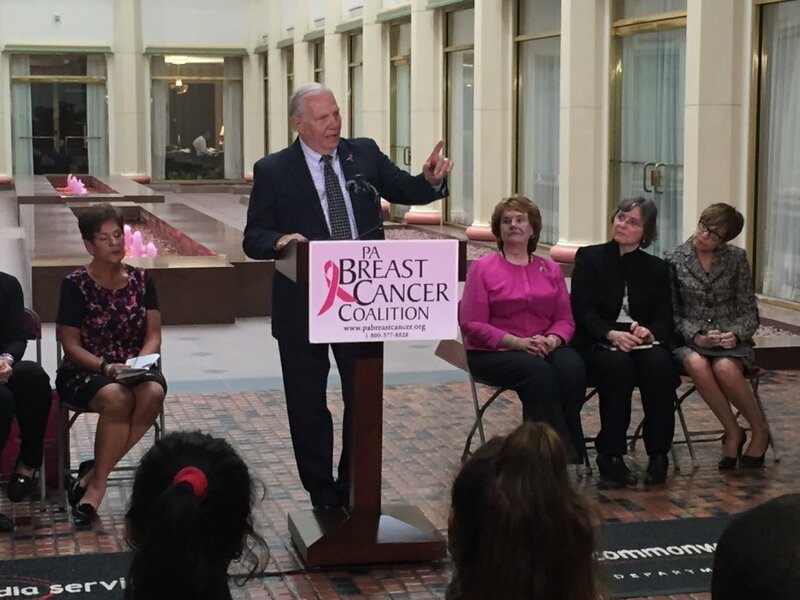 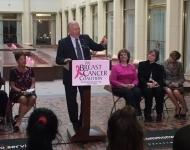 Senator Mensch spoke at the PA Breast Cancer Awareness rally in honor of breast cancer awareness month which is recognized annually every October. 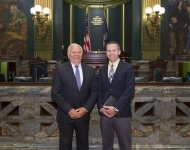 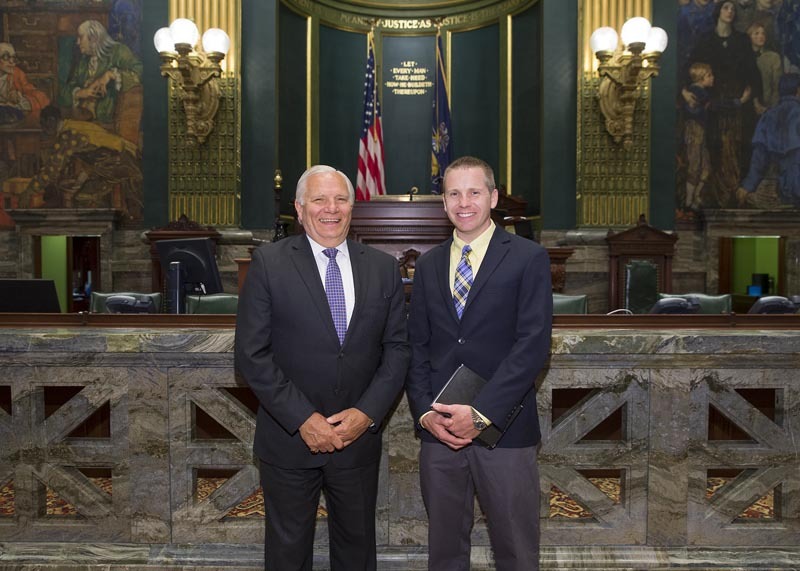 September 30, 2015 - Senator Mensch enjoyed the opportunity to introduce Reverend McKinley from the Central Schwenkfelder’s church in Lansdale to the Senate today. 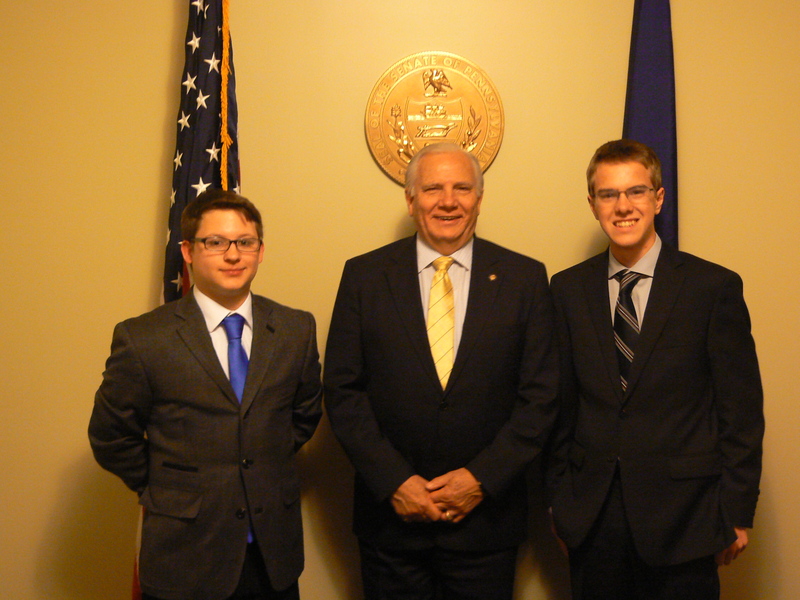 Rev McKinley served as the guest chaplain of the Senate and was joined by Bryce Simon and Sam Beatrice, both seminarians, and Drew Bundshuh. 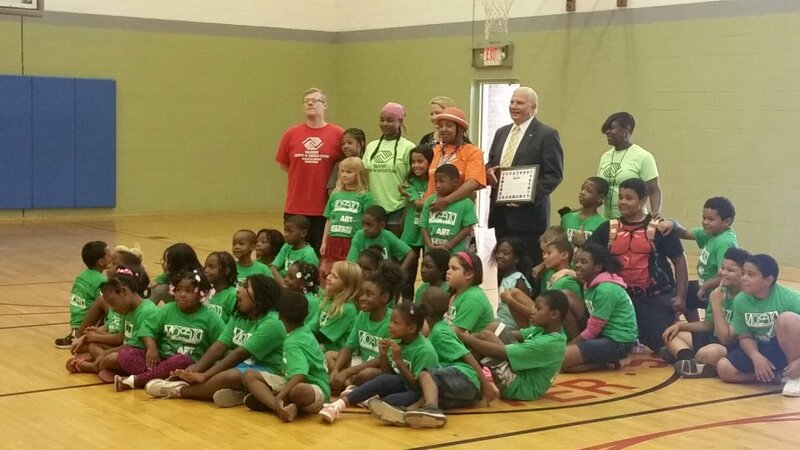 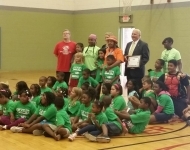 Senator Mensch was honored to receive the Afterschool Championship award at the Olivet Boys and Girls Club in Pottstown! 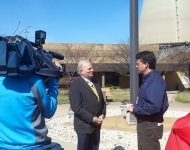 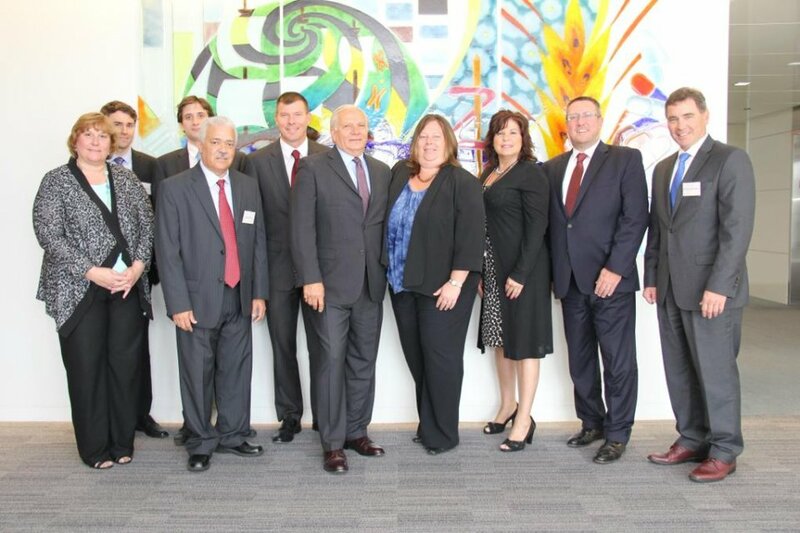 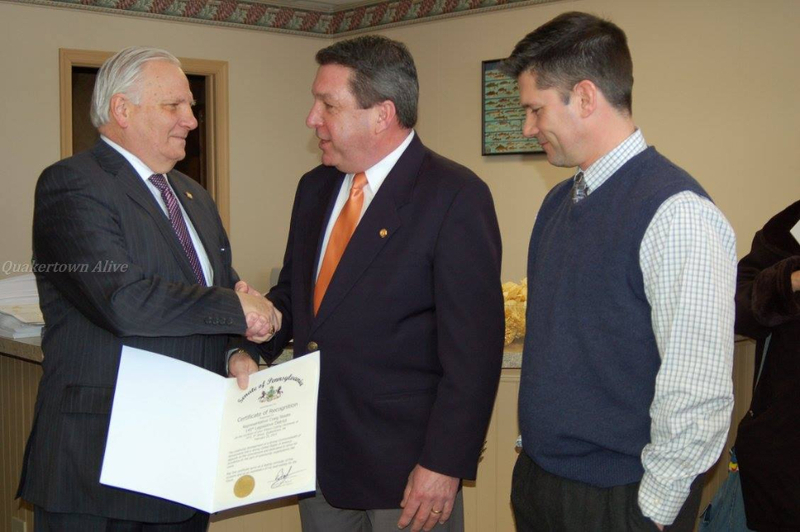 Senator Mensch joined Secretary Dennis Davin (DCED) for a tour at Almac Clinical Services in Souderton. 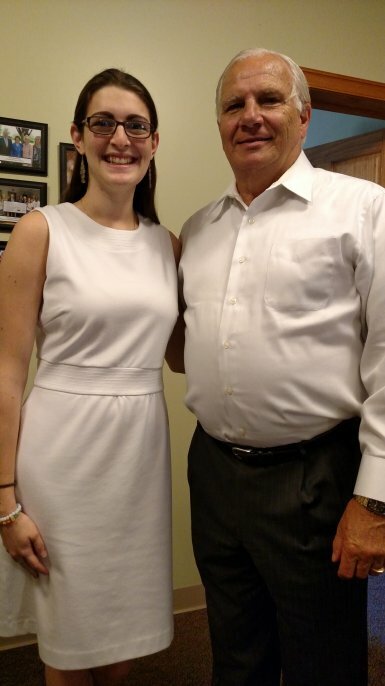 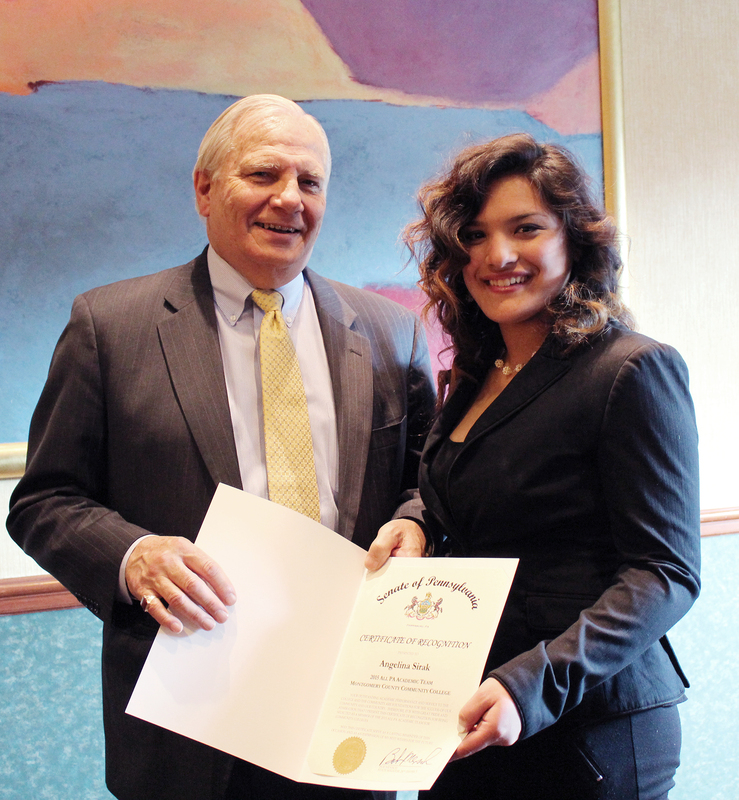 Danielle Marino, from East Greenville, interned at Senator Mensch’s Red Hill office during the 2015 summer and did an amazing job. 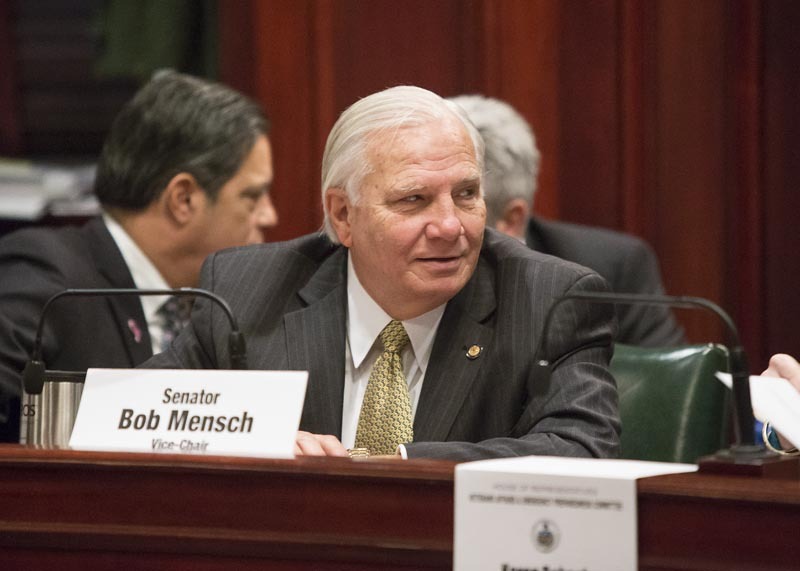 Senator Mensch and his staff wish her luck on her future endeavors as she continues her education at Arcadia University! 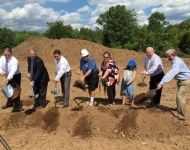 August 5, 2015 - Gorski Engineering breaks ground on a Kiddie Academy in Milford Township on Wednesday, August 5. 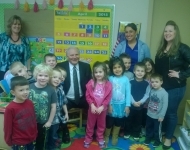 From left are Realtor Mike Golarz of Colliers International; Tom Klee, senior vice president of QNB Bank; state Rep. Craig Staats; Mike Zion and daughter Andrea Zion, who is owner and director of the Kiddie Academy under construction; Andrea’s daughter, Sara Claussen; state Sen. Bob Mensch; and Jerry Gorski, president of Gorski Engineering, builder and developer. 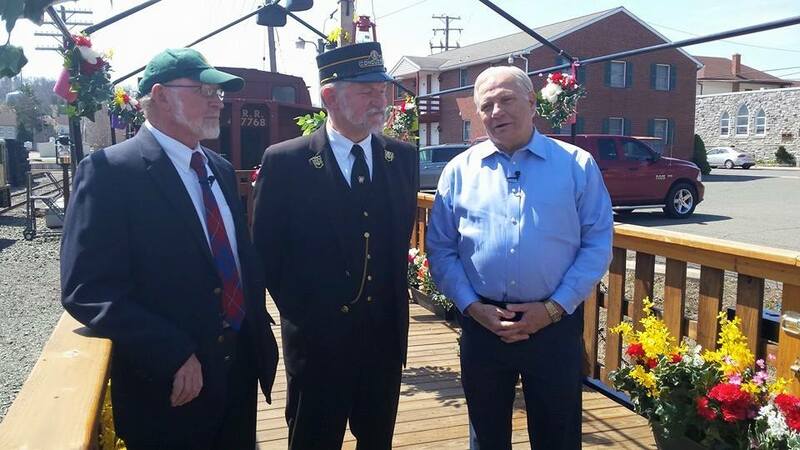 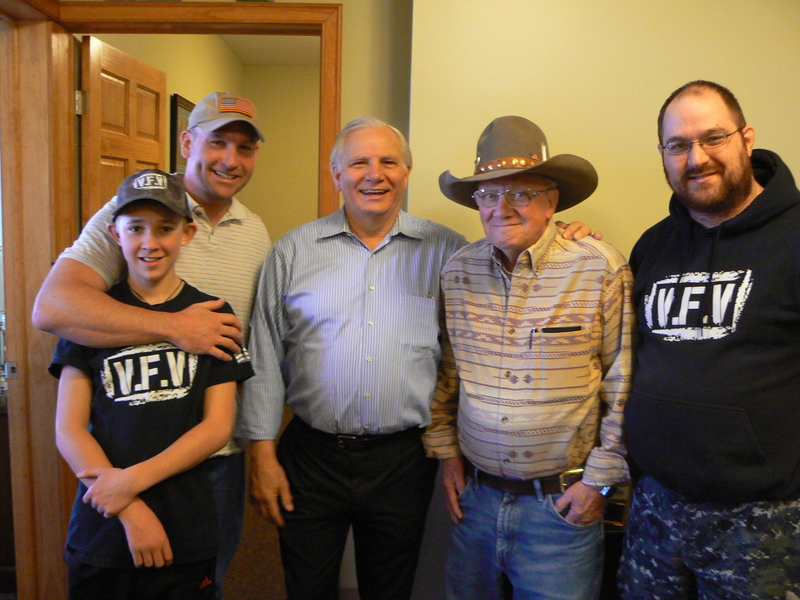 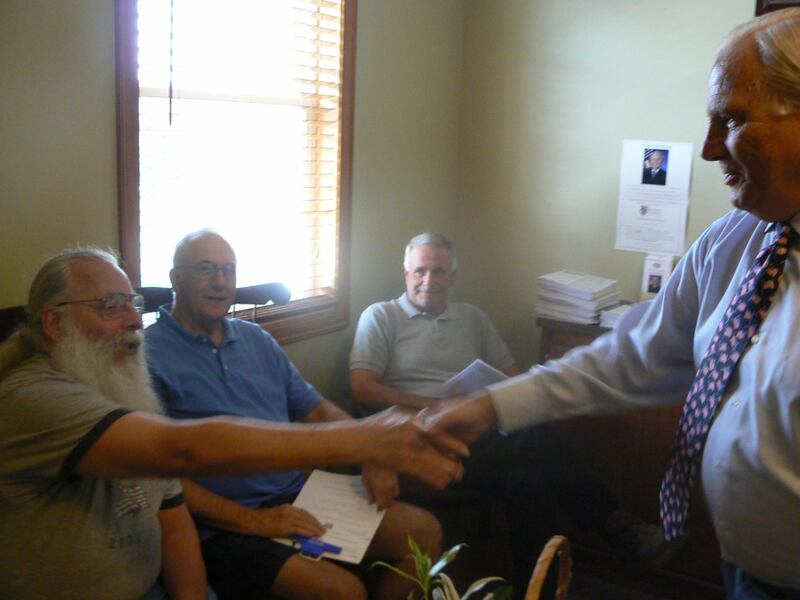 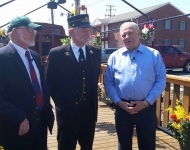 July 31, 2015 - Senator Mensch cohosted a veteran ID outreach event with Representative Simmons in Red Hill on July 29th. 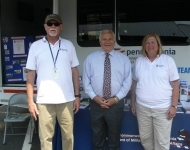 Over 60 veterans were able to obtain their Montgomery County, PA veteran ID. 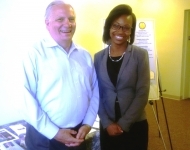 July 31, 2015 - It was a pleasure to have Imani Johnson from Senator Pat Toomey's office at my Veteran ID/Outreach event on July 29. 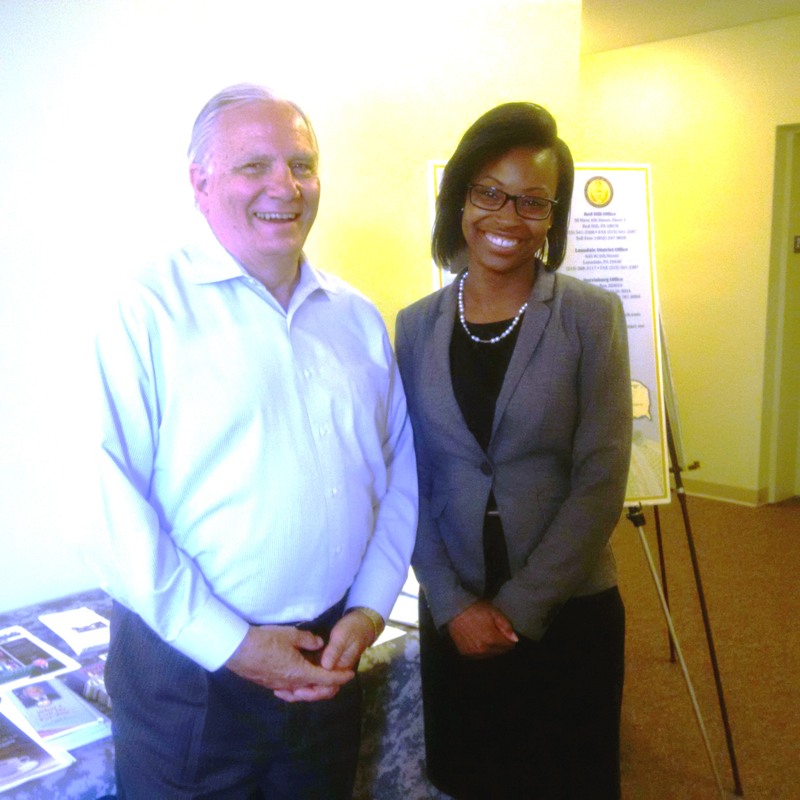 Imani helped several veterans with VA related questions and concerns. 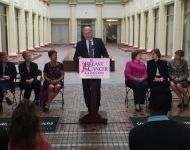 I look forward to having her and other staff members from Senator Toomey's office at my events to offer federal outreach. 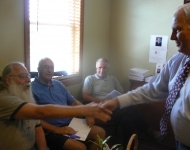 July 31, 2015 - Senator Mensch cohosted a veteran ID outreach event with Representative Simmons in Red Hill on July 29th. 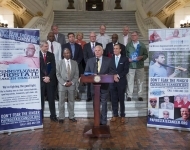 Over 60 veterans were able to obtain their Montgomery County, PA veteran ID. 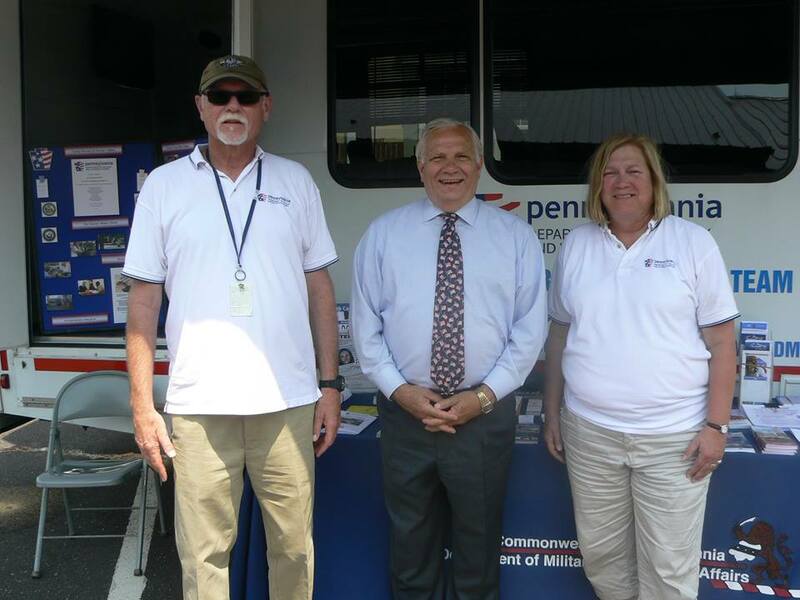 Senator Mensch posed with the PA DMVA Mobile Outreach van which was also available at the event to help veterans with any VA related questions. 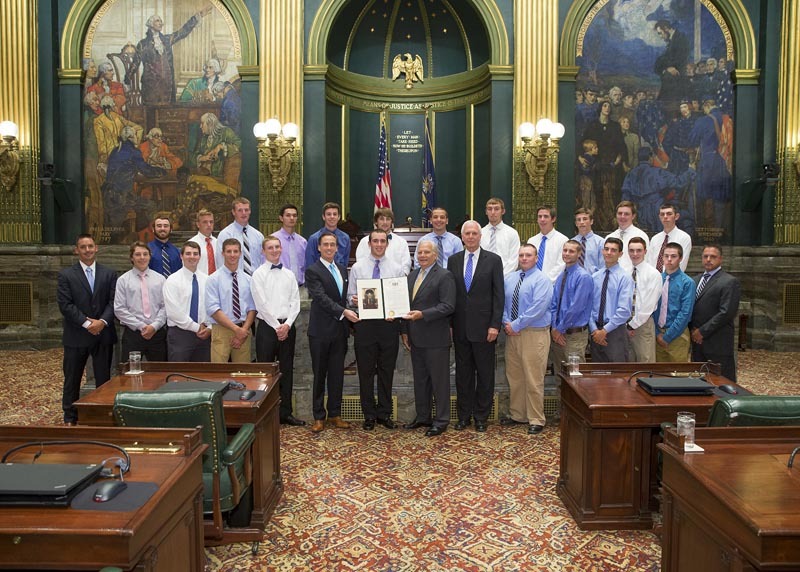 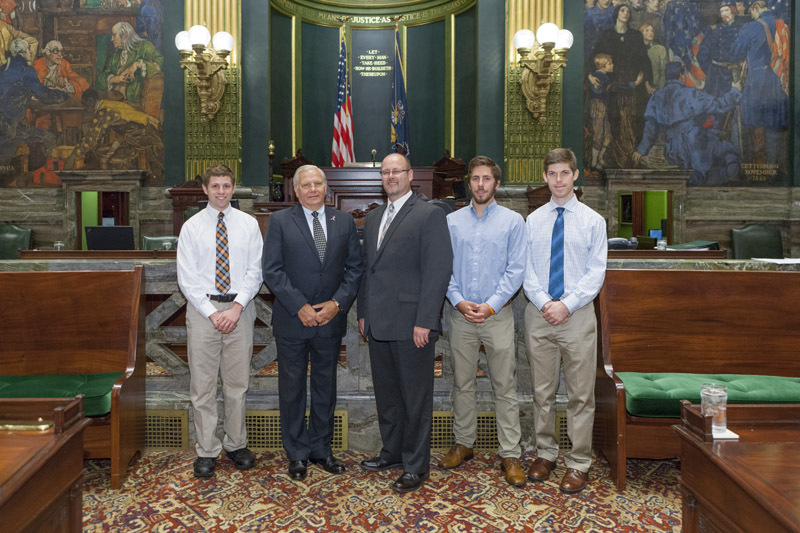 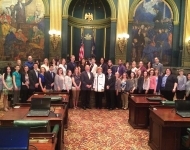 Senator Mensch introduced the North Penn Knights baseball team alongside Senator Stewart J. Greenleaf"_blank" href="http://av.pasenategop.com/mensch/2015/0715/baseball.mp3"> Listen. 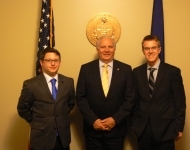 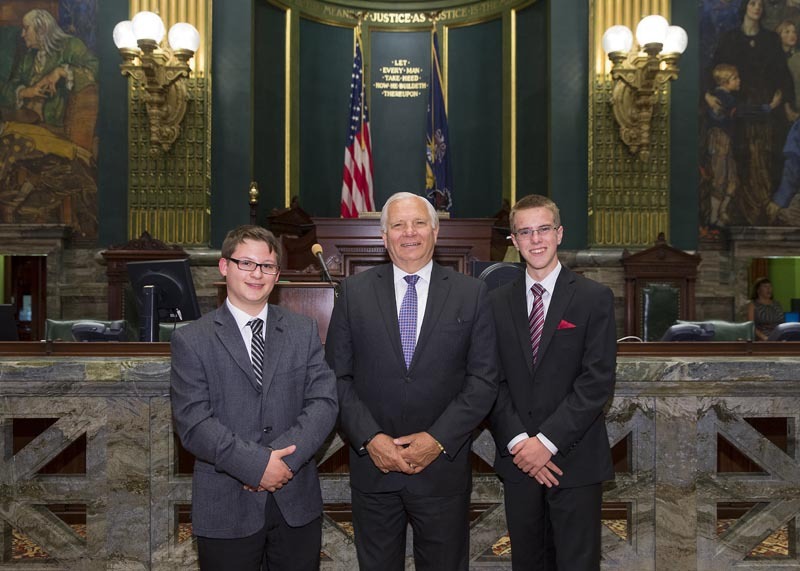 Senator Mensch welcomed two students from Souderton Area High School today, Mr. Peter Kramme and Mr. Joel Dillow, who “shadowed” the Senator as part of their mentorship program at school. 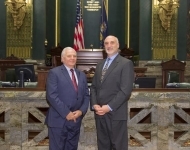 Senator Mensch hosted Pastor Kris Wint - the Guest Chaplain of the Senate on June 16, 2015. 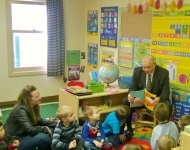 Pastor Wint is the pastor of the Finland Mennonite Church in Pennsburg, Pa. 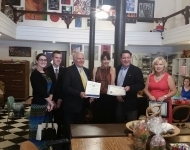 Senator Mensch enjoyed attending the grand opening/ribbon cutting ceremony of the ART Z Community Arts Center in Quakertown. 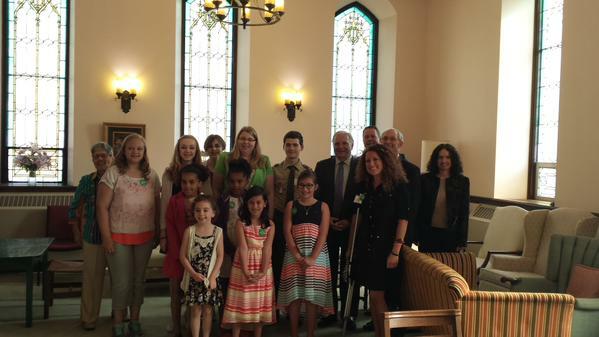 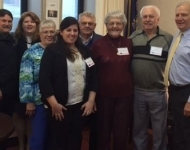 Senator Mensch had an opportunity to meet constituents at the Arthritis Foundation Breakfast in Harrisburg. 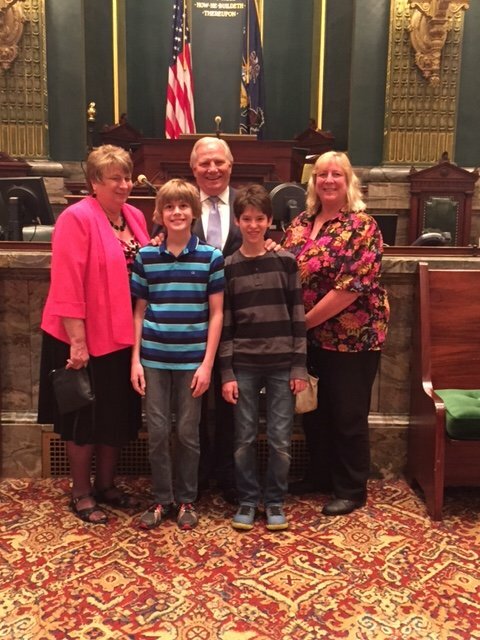 Senator Mensch hosted Dee Wiggins (right), her sister Gale Blase (left), her son Ryan (second from left) and his friend Alex Leonberg (second from right) during their visit to Harrisburg. 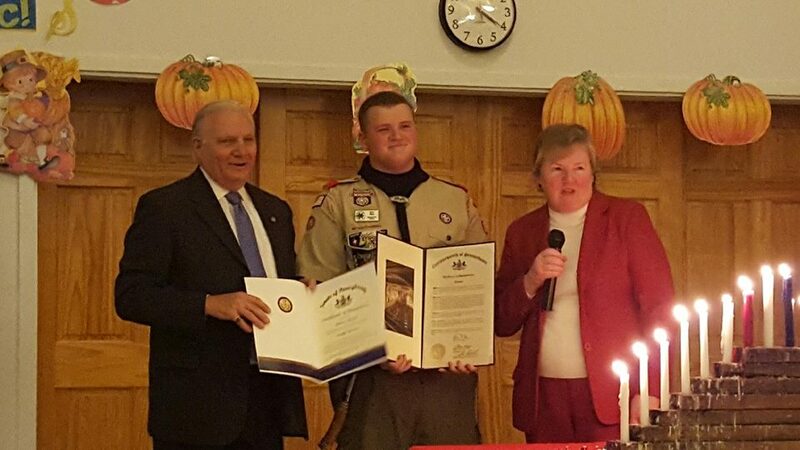 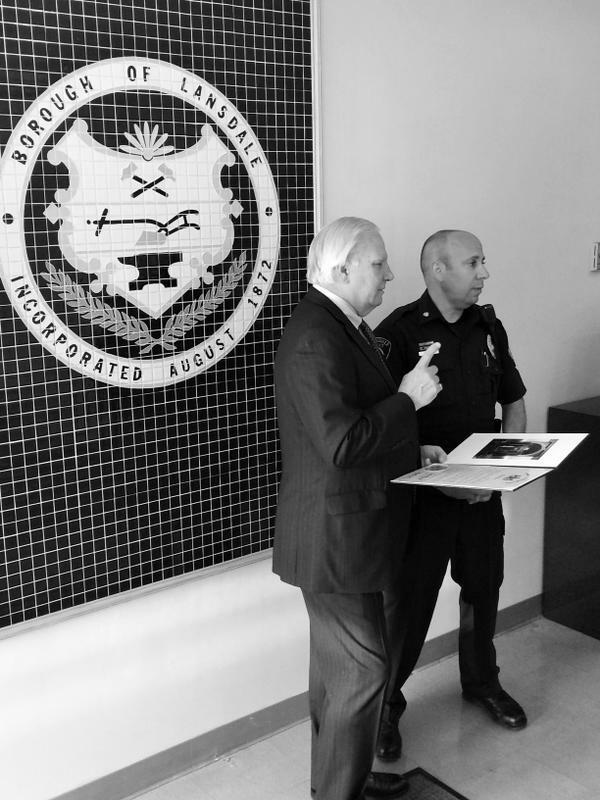 Senator Mensch was honored to present Lansdale Police Officer Joel Greco with a proclamation for being recognized as "Officer of the Year". 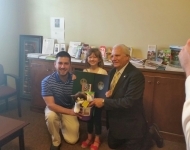 Senator Mensch presented a citation to Morgan Keely with PA State Rep. Justin Simmons in recognition of being named a Community Action Hero by Hasbro and generationOn. Morgan Keely, age 8 of East Greenville, was born deaf and started Morgan’s Magical Ears to raise money for other children needing medical treatments. 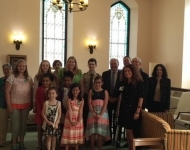 She pays it forward by donating sand buckets filled with stuffed animals and treats to other children suffering from illnesses early in their lives at the Children’s Hospital of Philadelphia. 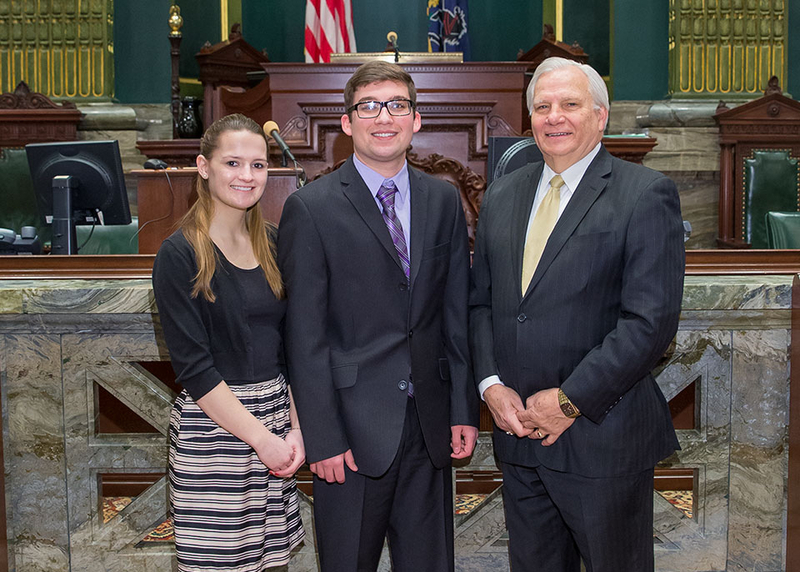 Souderton Area High School students, Joel Dillow (left) and Peter Kramme (right), shadowed Senator Mensch in his Red Hill Office. 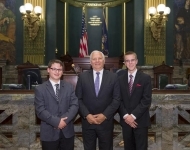 Both Joel and Peter are juniors at Souderton Area High School. 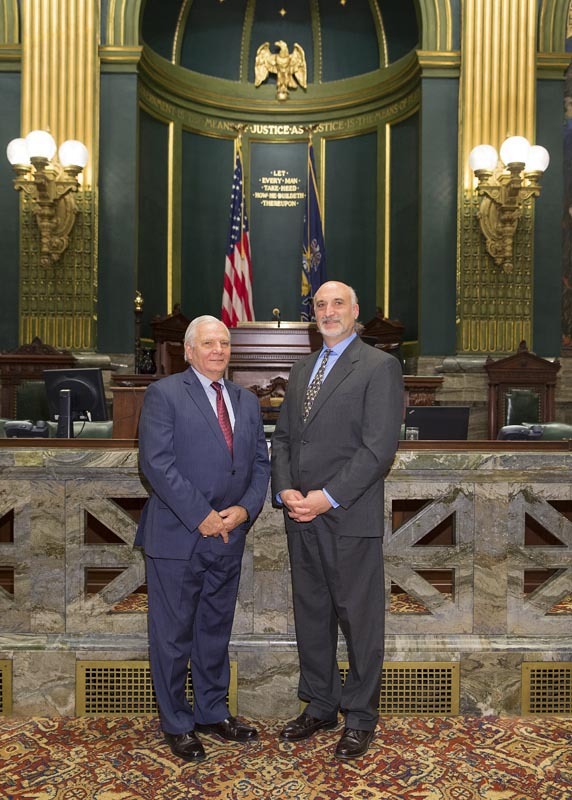 Senator Mensch welcomed Pastor Jim Arcieri from the Community Bible Fellowship Church in Red Hill as the Senate's guest chaplain. 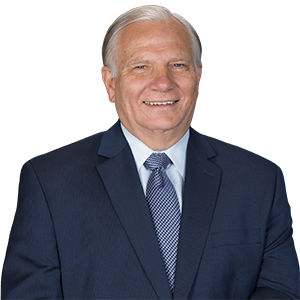 Watch his prayer here. 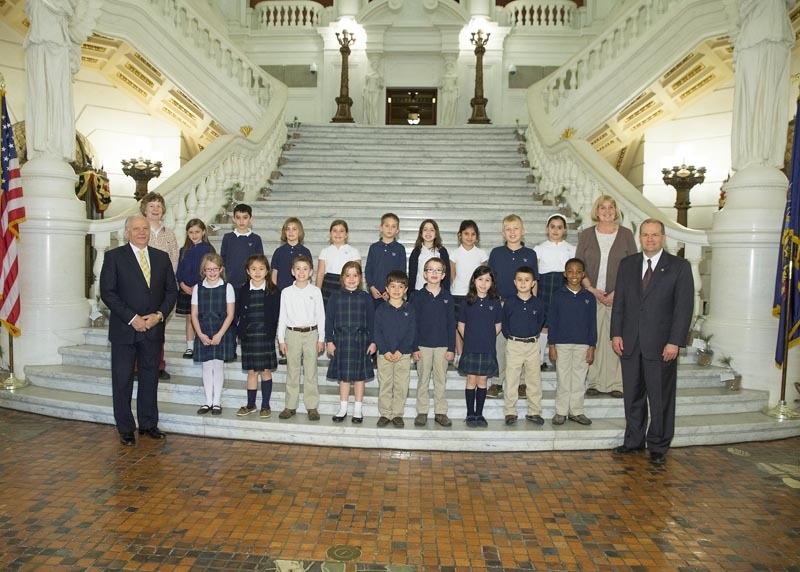 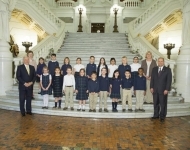 Senator Mensch and Rep. Tom Quigley enjoyed meeting the 2nd grade students from Wyndcroft School in Pottstown during their visit to Harrisburg. 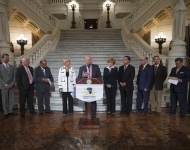 Co-chairs Senator Mensch and Lisa Boscola held an Economy, Business and Jobs Caucus with Pennsylvania BIO and the Life Sciences Greenhouse of Central PA. The organizations presented the members with an update on behalf of the life sciences community in the Commonwealth. 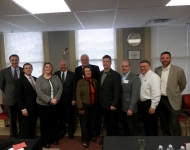 They also reported on employment, economic development and job creation in their field, as well as the industry’s current strengths and challenges. 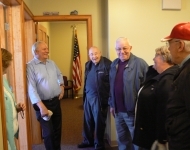 Senator Mensch greeted constituents at his open house event for his new office in Red Hill on April 11th. 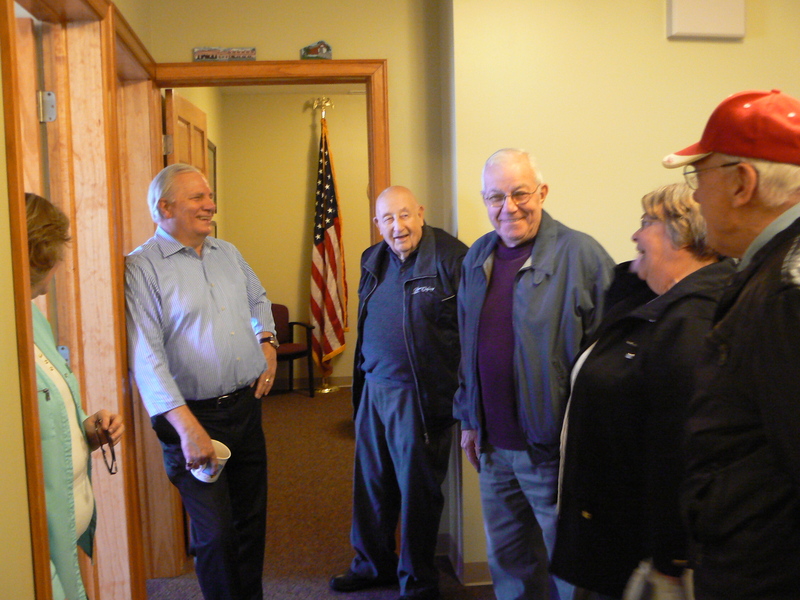 Senator Mensch greeted constituents at the open house event for his new office in Red Hill on April 11th. 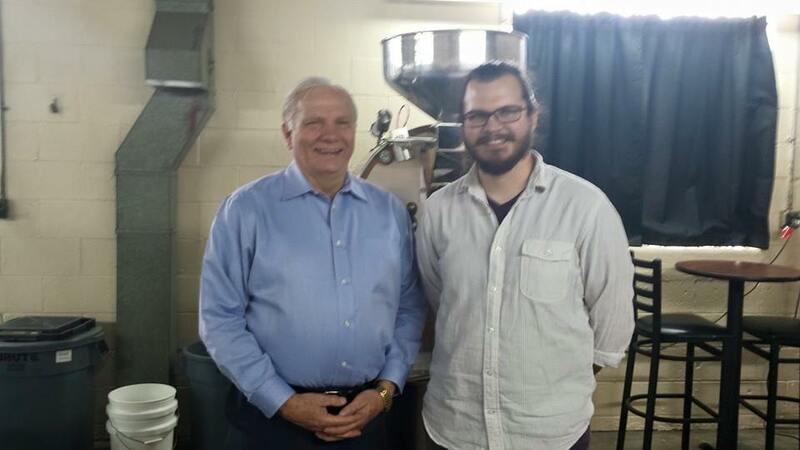 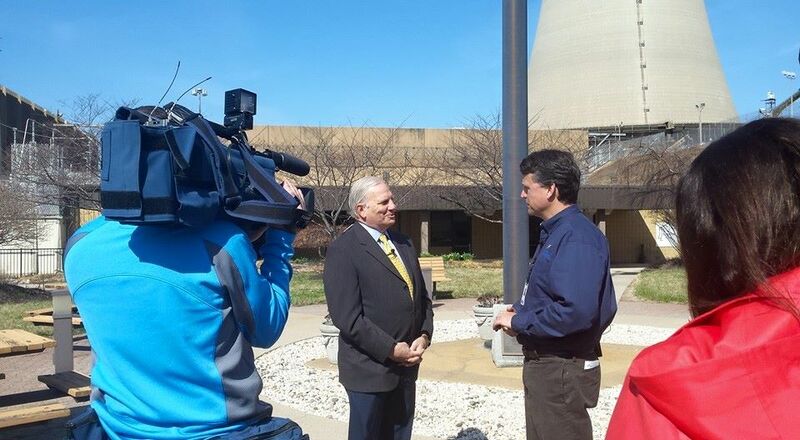 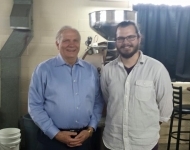 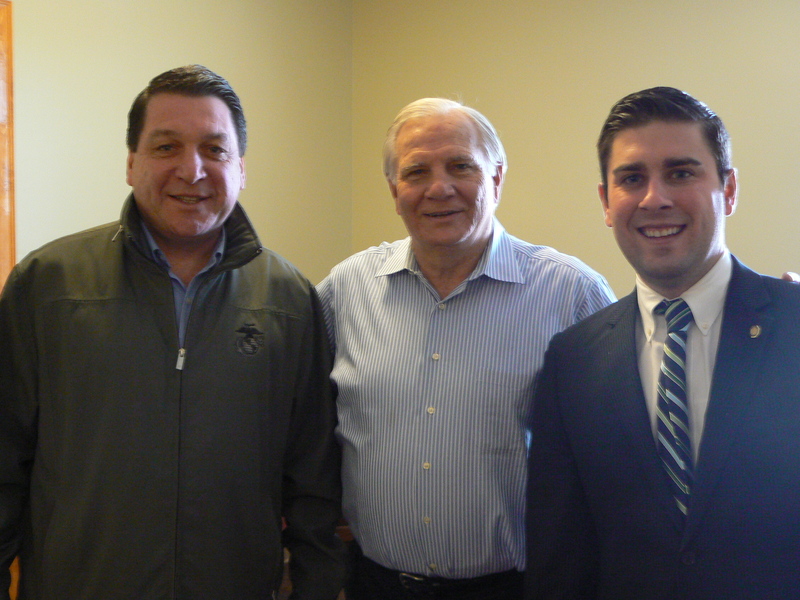 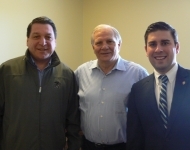 Senator Mensch, Representative Craig Staats (left) and Representative Justin Simmons (right) at the open house event in Red Hill on April 11th. 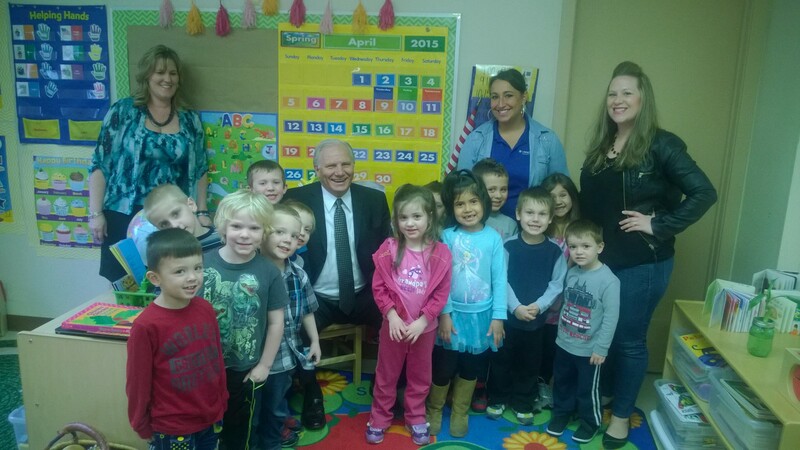 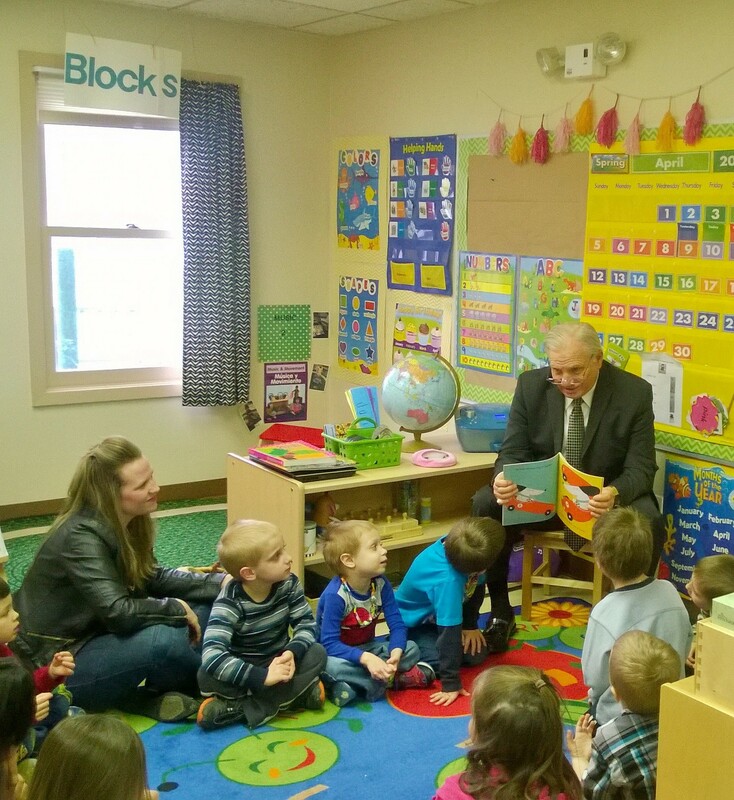 Senator Mensch enjoyed reading to preschoolers at Life Span School and Day Care in Quakertown. 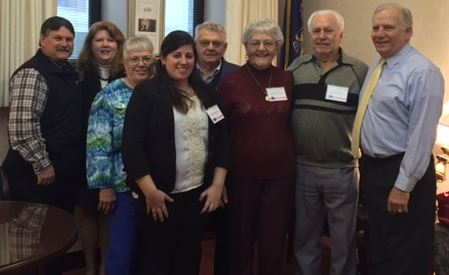 Senator Mensch enjoyed meeting with members of the Montgomery County Farm Bureau in Harrisburg. 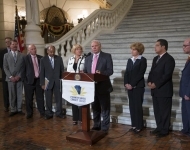 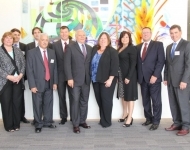 From left to right: John Caroff, Bonnie Caroff, Joan Benfield, Stephanie Sansone, Charles Rhoads, Grace Grater, Paul Grater. 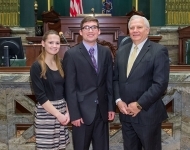 Senator Mensch welcomed Tyler Stalleti and his girlfriend Alexis Geissinger to Harrisburg for the day. 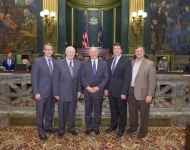 Listen to their introduction to the Senate here. 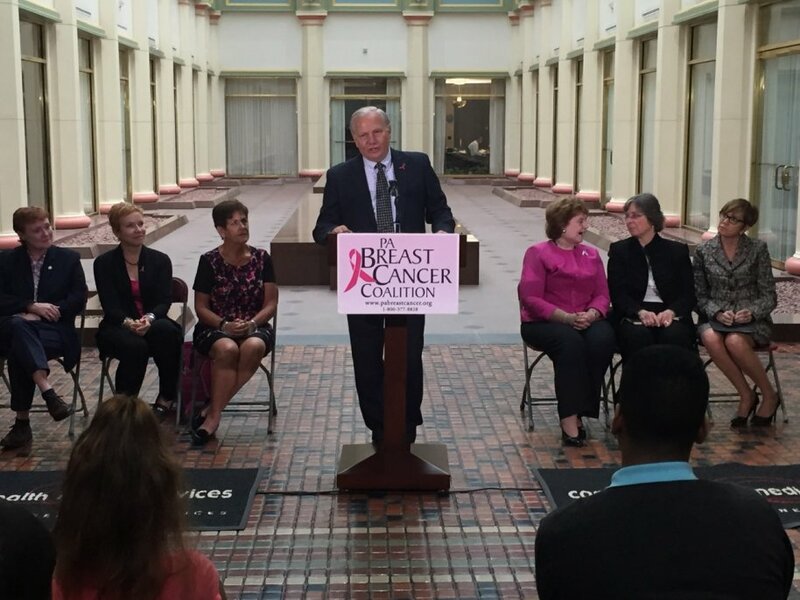 Watch the introduction here. 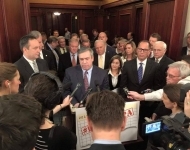 Senator Mensch joined his colleagues from the Pennsylvania Senate Republican Caucus immediately following Governor Wolf's Budget Address to voice our reaction and thoughts to his proposal. 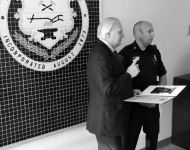 Listen here to his reaction. 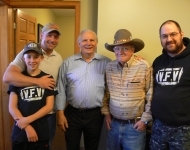 Watch his reaction here. 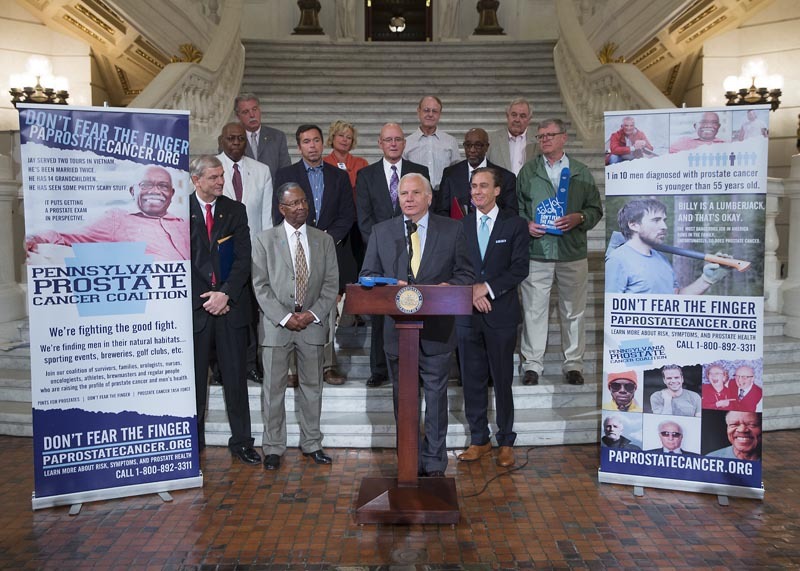 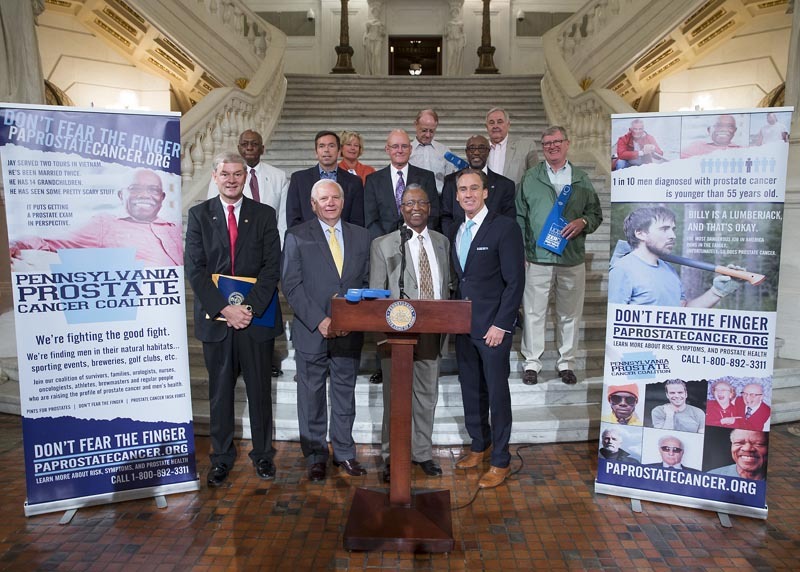 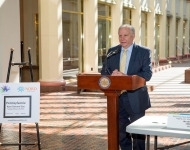 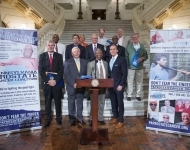 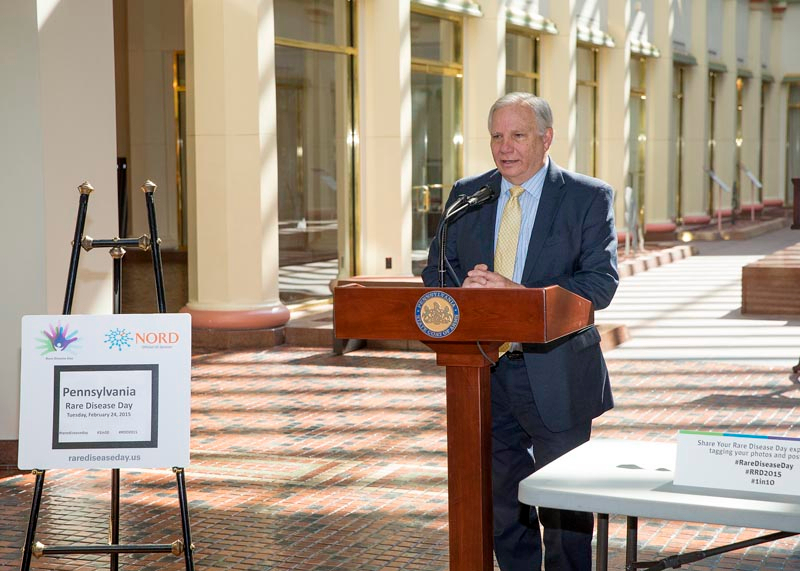 Senator Mensch joined colleagues, patients, physicians, and industry leaders to focus on the challenges and triumphs of living with rare diseases in the Commonwealth of Pennsylvania. 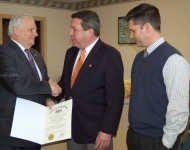 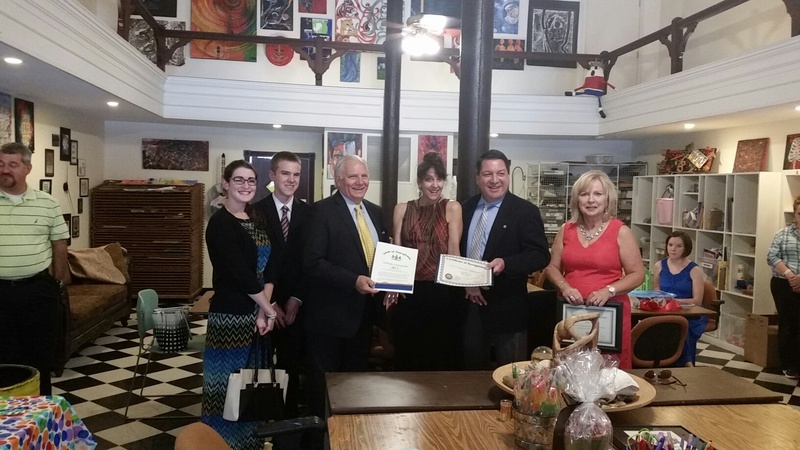 Senator Mensch presented Representative Craig Staats with a certificate during his office open house in Quakertown. 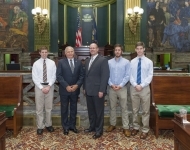 Also pictured is Commissioner Robert Loughery. 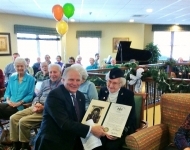 Senator Mensch wished Margaret Osteyee a happy 100th birthday with family and friends in Arbour Square. 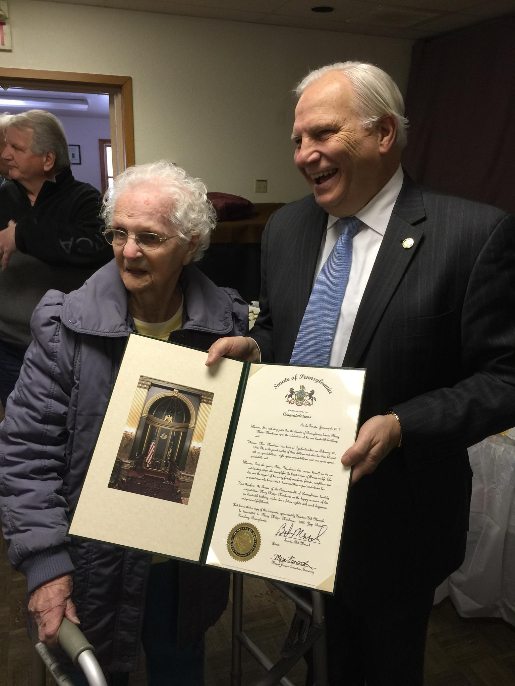 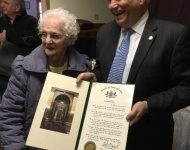 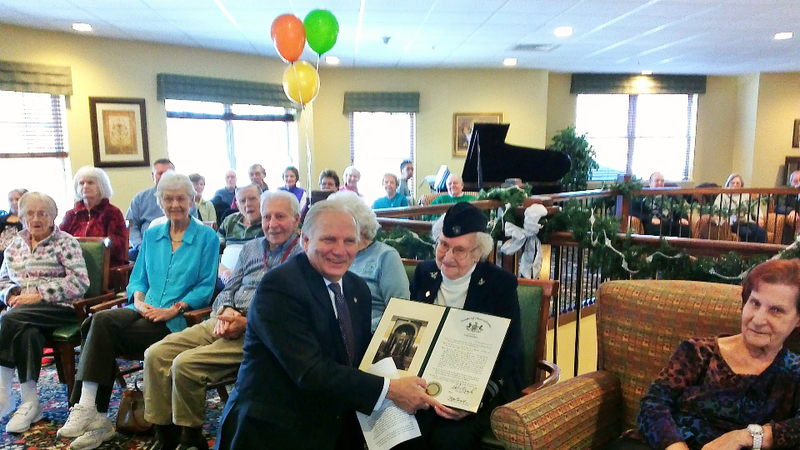 Senator Mensch wished Mary Mumbauer a very happy 100th birthday and presented her with a birthday citation. 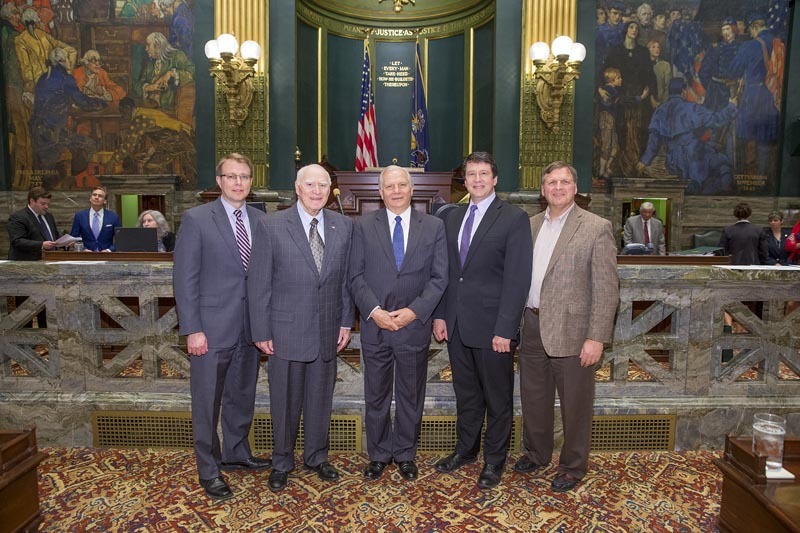 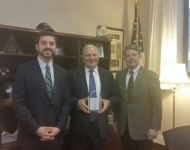 Senator Mensch was honored to receive the “Friend of the Food Industry” award from the Pennsylvania Food Merchants Association (PFMA). 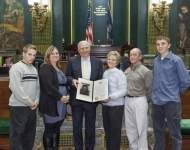 This award is presented to legislators who exemplify the values of supermarket, convenience store and associate members.